Even though CommentLuv blogs lost their trust, but I still found these blogs are a good source of building backlink through blog commenting. If you are lucky, then you will get a dofollow backlink from these list of commentluv blogs 2019. I know that still many of us are searching for high PR websites to get comment backlink. But let me remind you that, Google has stopped releasing PR data long back. You can look for high DA or domain authority blogs as well. In this article, I am going to share the list of genuine websites where the CommentLuv plugin is active. You can get a backlink to the internal pages of your website by writing a quality comment. What are CommentLuv Enabled Blogs? Commentluv is a WordPress comment plugin. This will enable some awesome features in your blogs comment system. You can get a backlink to any of the posts if you write a comment in any of the CommentLuv blogs. To boost to your ranking you need dofollow backlink from a quality website. But these days almost every blog stop providing do follow links through comments. But few of the CommentLuv blogs still provide dofollow backlink. Not only that, many CommentLuv enable blogs are even not accepting posts pages as well. You might face various error as well while trying to fetch your latest blog post using the commentluv plugin. As a blogger, should you install CommentLuv plugin? It depends upon you. There are many advanced comment plugins available these days. CommentLuv plugin is already dead and no update from a long time. 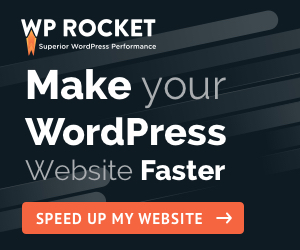 Personally, I have removed this plugin as I am trying to improve my website speed and free from all unnecessary plugins. This plugin will attract more comments to your blog. That means your posts will get more user engagement. Many people are creating a list of CommentLuv blogs 2019 like I have created here. That means there is a chance to getting your blog name mentioned in such articles. Blog commenting is a very good way to start promoting your blog. In fact, it is the best blog promotion strategy to connect with others also. If you can write a quality comment, then you will get some referral traffic to your website also. This is an example of a blog comment I wrote in a CommentLuv enabled blog. You can see, I got 2 backlinks: one with my name & other with the article title as anchor text. Also, note that I wrote a quite lengthy comment with useful insights so that author can approve the easily. Generally, CommentLuv blogs are high-quality blogs where you can’t just write spam comments. Don’t be in rush to comment in all these CommentLuv blogs in one day. Make it natural and try to write on 5-6 blogs daily. Find out the most popular article from the sidebar or try to comment on the latest article. If you are the first person to comment on that article, make sure to grab that opportunity. Read the article carefully and note a few points. While writing the comment elaborate your knowledge and link with the content and share some insights. In some commentLuv blogs, you can’t have any choice to link the latest post. But in case you might share the article, you will be able to fetch the latest 10 articles to link to that post. Whether it follow or no follow, a backlink from a high authority website matters. So, just go for it with a quality comment so that you can attract at least some referral traffic to your new website. When I searched for the list of CommentLuv blogs in 2019, I found a couple of popular blogs sharing a massive list of CommentLuv enabled websites. But the problem with those lists is that they are not updated for ages. There were blogs which are even not at all accepting comments at all, few of them were disabled that website field and many domains are not functioning. Then I have decided to make a new list of commentLuv blogs where one can actually get backlink by writing a quality comment. But still found issues due to HTTPS domain, as in many blogs I was not able to fetch my posts using the HTTPS extension. Although I had to remove “S”, HTTP and then it was fetched. I have checked these CommentLuv websites manually and then prepared this list. These are few of the blogs where I have commented recently. I will be updating this list after checking them manually and also tried them gradually. I hope you like this article and find these websites useful while building backlink for your blog. Just make sure not to overdo anything. Try to make things naturally to get good results in long run. I will try to add more CommentLuv blogs in this list to make it more useful for bloggers, digital marketers or SEO guys. You can also bookmark this article for further references. If your blog is also having a CommentLuv system and provide do follow backlink, then why not let me know about your blog name by writing a simple comment below. I will update this list of CommentLuv blogs in 2019 with your website also. Debnath, thank you so much for the informative post you have shared with us. It will definitely help to build backlinks. Thank you Shabir, commenting is a very good habit to build authority on that topic or niche. Hi Phuc Nguyen, It’s good that you find this article useful. But not sure about the result you are talking about. If you want to see quick ranking improvement, then it is not that easy. It will take time. I’m pleased to get the info in this post and got some precious clues. Thanks! I think better to consider writing a quality comment on these list of CommentLuv blogs, as they may not approve your comments in case they just for promotional. Regarding ranking improvement, it is a very long process. But yes, if you comment regularly you will get good benefits in long-term. Really, This is a outstanding collection. Thank you for your article. Very appreciated my friend. Many thanks for this nice words. It really feels great when someone finds my hard work useful. Some great word you always deserve for your hard work. Thanks a Lot Sir, For this help. I am able to make 67 backlinks from this article. Thank You!! I am feeling good, as my efforts help you. Thank You very much for share this list. Please also share dofollow auto approve site. I am working on such a list of Dofollow Auto Approve Sites also and will be sharing that soon. Thank you for such a useful and informative post.Blog commenting is one of the best ways to create backlinks to your site and it helps to get you noticed and your blog in the blogosphere. You have well explained the information about CommentLuv blogs. I like the point “Tips to write a comment & get approved for CommentLuv Blogs” and here I have learned something new about it. Here, great to know about the huge list of CommentLuv blogs. I really appreciate the efforts you put in this article. Thanks Praveen for your feedback. Thanks for this exhaustive list – it must have taken a lot of time and effort to compile it. I feel like stumbling across CommentLuv could be a game changer for my blog. Blog commenting is one of the ways to build links manually. If you don’t put spam comments, it will work for you. Google may not give any weight immediately, but if you are able to make a habit of blog commenting on similar niche websites then in long run your website will get the number of referral links. So, there is nothing guaranteed formula, but yes this is a good practice if you are able to make yourself spam free. It’s getting harder to do linkbuilding and any help is welcome. I hope your information can be used as I expect and I can start building quality links. I’m waiting for other ideas about how it should and especially about how we should not build links and whether they are really useful for SEO. I personally consider the quality of the site more important, but the lines probably think differently from google. Link building is a process which is always controversial. There are always debate what is white hat Vs what is Blackhat. Although we must earn links by writing quality content or blogger outreach. But it is not possible always. I feel blog commenting is one of the legit ways to start a discussion, share your thoughts and get a link back to your website. How much impact it will create that no one will be able to tell, but one thing is true that Google gives value to the number of referring domains. So, one should work on every type of link building slowly, natural ways to make sure the link diversity maintains. Manual link building is no harm, if you understand the thin difference between this & spam. What an amazing effort. You have helped so many new bloggers like myself by posting this list. You have done extensive research and come up with this list. I really appreciate all your hard work and effort you must have put in compiling this list. Thank you so much for sharing this post. Have a great day. Thanks santanu. But I have a quick question on the *name* part of the comment section, is it advisable to insert our target keyword for SEO purpose or just stick to our names? Better to keep our name or some generic term. Keeping keyword is not a good practice and if you are keeping also, make sure you re not overdoing this. Thanks so much for your list. I’m really “crazy” to find trust backlinks. My website was strarted 2 months but not effective until now because lack of trust backlinks. Thanks again 🙂 Have a good day! Great list. Thank you for your efforts on this article. Link building is becoming more and more important in our industry. Thanks for finding this useful. Without any doubt, quality link-building is must gain good authority. Commenting is one of the easiest ways to build backlinks, which is not that effective though. But one can get good referral traffic if done properly. Thank you for sharing the list of 100 do follow blogs list. I have learned some new thing from your blog. Looking for more helpful article like this. I don’t know if auto-approve blogs are better than the moderated ones though. I mean the auto-approve ones are bound to be spammed by black hat software programs. Yes, auto-approve comments are mostly spammy and they are not good for your main blog. Most people use such link building techniques for event niche blogging, which is a short-term target. Comment Luv blogs are like regular blog commenting only and they have similar comment benefits if done properly. But anyway, these techniques are not that effective as anyone can do that easily. These sites are really good to get some quality link for your website or blog. Thanks for putting this resource together, super helpful. Is there a reason why you didn’t hyperlink up the URL’s though? I’m not just being lazy, more so wondering if there is a reason really. No such reason though just kept them like that only. Comment Luv plugin services are closed. The official developer, who developed it has made his final judgment to close it. More than a million WordPress sites have downloaded it, but there are less than 10,000 active installs. I think, the list no longer matters because your Comment Lub plugin doesn’t work either. What are your thoughts? You are right, the plugin is not updated further. But just consider it as one of the blog commenting ways only. And I think blog commenting is a crucial way og building quality backlink and increase user engagement. Checked even your listed commentluv enabled site and few of them right now looks like a spammy website and I think they are not worth commenting at all. When you are going to moderate this list? Thank you for sharing your feedback. Yes, you are right as many websites are not working as expected. I have moderated the huge list of 100+ and found few last months. And I need to update this list asap. Actually, CommentLUV plugin is no more active and many people disabled it already. In fact, there is yet find any better alternative to CommentLuv blogs. That’s the reason most blogs have no activity remains with CommentLUV enabled. But I will review this list of CommentLUV blogs soon and update on my Facebook Group.